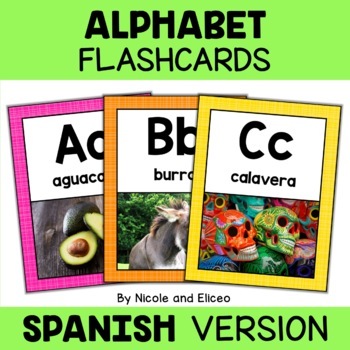 Support your beginner readers and writers with these Spanish alphabet phonics flashcards with real life photographs to celebrate Latino culture and Hispanic Heritage. 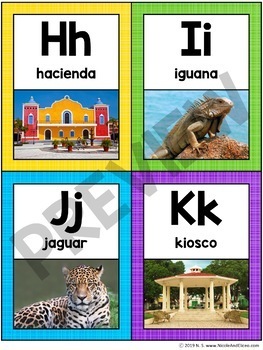 They work great for phonics instruction, letter identification intervention groups or can be used to support your letter of the week lessons. VIDEO PREVIEW: To preview all of the pages, hover over the video with your cursor, click on the diagonal arrows under the video for "full-screen" mode and then click play. 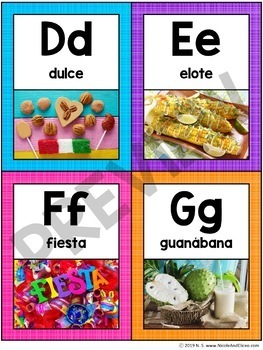 This resource has been teacher-tested and approved, downloads in a secure PDF file, requires no teacher prep, works great for room decor or can be used with large or small groups, during mini-lessons or at literacy centers. 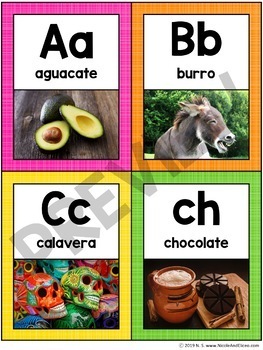 This resource has also been kid-tested and approved, uses kid-friendly fonts, real photographs and is a great student reference tool.